A lot of movie critics say that the 6th installment in the Saw series is the best one of all. It still has the same gory and discomforting scenes that made the series famous, but now the storyline is much deeper than before. It is a horror-filled movie with a conscience that makes you wonder if Jigsaw is only a relentless and manipulative maniac, or is a necessary evil that makes us realize our mistakes. 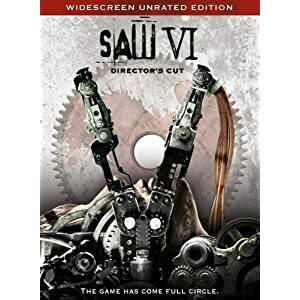 There are a lot of gruesomely ingenious traps and tricks in store for the victims in Saw VI. This movie will finally reveal what Jigsaw planned from the very beginning!